Oliver Stone is an independent thinker, an opponent of American imperialism, and has spoken favorably about the Ron Paul campaign. So when he released his new history-themed documentary series it was a given it would cause a measure of interest among libertarians. Sure enough, once part one of the series was released both mostly positive and mostly negative reactions by visible libertarians followed. Here is my take on the first part of his series “World War Two” touching upon several points I found worthwhile to comment on. The film begins with a shot of Stone himself, he is sitting in an armchair and explaining his motivation for shooting this film. He does so in the most patronizing, sage-like voice he can muster. What is more, the entire film has Stone speak in this oh so wise and kindly tone and pedestrian tempo as if it being narrated by an all-knowing Papa Frost. One serious thumb down here. The last thing anyone needs from their history program is to patronize them. One mayor goal the film seems to task itself with is to tell more about the Soviet role in bringing about the defeat of Nazi Germany in WWII. This rubbed at least one prominent libertarian, namely Justin Raimondo of antiwar.com the wrong way. By the end of his piece on the Untold History, Raimondo had accused Stone of having revealed his “Trotskyist sympathies”. I believe that is uncalled for. I do not know a whole lot about Stone’s politics (other than that he strikes me as a fairly amorphous progressive). As far as I know he may indeed lean toward comrade Trotsky. However, it is impossible to establish this on the basis of his fairly innocent portrayal of WWII Soviet Union. In the film the narrator states Japan joined Germany and Italy in signing the Tripartite Pact in apparent “retaliation” for American embargo against Japan. The sound then cuts to a contemporary commentator asserting “It is clear now that the three Axis countries definitely stood against us.” and “Organized to smash the very principles which made us the people we are.” It is unclear if the contemporary sound bites Stone incorporates in his movie here are meant to provide flavor, or to make a point the viewer should take home. Whatever the case, there is a more accurate explanation for the Tripartite Pact than retaliation, intent to smash quintessential American principles, or a desire to stand against the United States. The main purpose the Pact was to help achieve was deterrence. The Treaty was a brainchild of the German minister of external affairs Joachim von Ribbentrop and surfaced after Washington had long made clear it did not look kindly on German expansionism in Europe or Japanese expansionism in Asia. The Pact was sold, to Japan in particular, as an arrangement that would provide it with a measure of insurance the United States would not go to war with it as it continued to carry out expansionist policies in Asia. The Pact stated in the case the United States elected to go to war with any of the signatories, the rest were obligated to assist that country. This was supposed to give Washington pause should it ever come to weigh engaging in hostilities against Japan. The narrator states that the lost Battle of Kiev “cost the Soviets more than half a million lives”. In fact the Soviets sustained the loss of over five hundred thousand men in this disastrous battle, but the great majority of these were captured, not killed. Almost all of the captured soldiers would be dead in a few months, it is true, but they were not killed in fighting. They were left to starve or freeze to death in captivity. In the course of 1941 the German armed forces captured more than three million Soviet prisoners of war. The great majority of these perished in death marches to POW camps and later on in the camps themselves, where there was never made any real attempt at keeping them alive. Before the rise of SS camps tasked with exterminating the European Jewry, Wehrmacht’s own POW camps had destroyed 2.6 million people in a matter of just several months in late 1941 and early 1942. 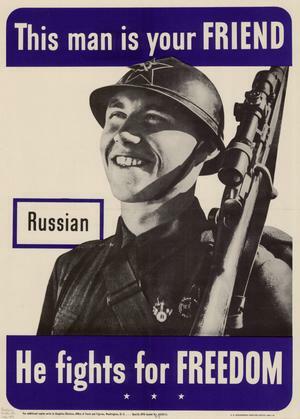 The film states that “because the Japanese had marched south” and attacked Pearl Harbor, instead of joining with the Germans in attacking the Soviet Union, the Soviets were able to transfer “marshal Zhukov’s 40 Siberian divisions to Moscow”, which then “made the difference” in the decisive Battle of Moscow of the winter of 1941/42. What Stone is retelling here is the popular Siberian Transfer myth. According to it, when the Soviets learned of the Japanese intent to march against the United States and not the USSR, this enabled Stalin to order a simultaneous transfer of tens of divisions from Siberia to Europe. These supposedly arrived just in time to be thrown into the crucial stages of the Battle of Moscow in which they succeeded in turning the tide and repelling the Germans by hundreds of kilometers, saving the city and possibly the Soviet Union. In reality the Soviets shipped divisions from Siberia and the Far East to the west individually, each at a different point in time between the summer of 1941 and throughout the fall of that year. The number of divisions which made this journey did not exceed 20 and most of these did not see action in the Battle of Moscow specifically, but were sent to other sections of the Soviet-German front. There was never a dramatic transfer of tens of divisions from Siberia in bulk, which arrived just in the nick of time time to stave off defeat, just as Japan had struck against Pearl Harbor. In the grand scheme of things Siberians played a distinctly minor role in averting Soviet defeat at Moscow and bringing about the limited success of the Winter Counter-offensive. Where the major part of the Siberian divisions myth probably originates is with the Germans. As German lines cracked and hard-pressed German troops were forced into retreat for the first time any Soviet troops equipped with winter gear hot on their heels were imagined to belong to crack “Siberian” divisions. Because he greatly overestimates the importance of the Siberian transfer in foiling the Germans, as well as the degree to which the Soviets weakened their defenses against Japan, Stone believes that if Japan had joined in the attack against the USSR “it is almost certain” the latter would have been “crushed”. However, as we have seen he is basing his prediction off false assumptions. In the end the first part of the series must be deemed better than average popular history. There is obvious intent to live up to its title of “untold history”, but unfortunately only in as much as it comes with the added focus on the USSR. This portion is indeed a breath of fresh air even if it could have used better fact checking and proofreading. The films is unfortunately nowhere near as unconventional when taking on American themes, and in this Raimondo is right in raising issue with it. From defending Roosevelt’s third term, to silly praise for the Atlantic Declaration, on to giving up a thumbs up to Henry A. Wallace for his policy of paying farmers not to produce food just as thousands of other Americans were reduced to dependence on soup kitchens. On the one hand we can view the first part of the series with sympathetic eyes knowing that if more Americans had Stone’s perspective which enables him to put himself in the shoes of the Soviets as they battled Nazi Germany, there would never have been a need for a Cold War, and the US and the world would have been better off for it. On the other, the hagiographic bits relating to FDR portend we are in for a hefty quota of eyebrow raising howlers yet to come in the parts of the series that follow. * Ronald Smelser and Edward J Davies II, The Myths of the Eastern Front: The Nazi-Soviet War in American Popular Culture, (Cambridge: Cambridge University Press, 2008), p. 33-38. I was wondering when this series was going to come out. I was hesitant to get excited for it though, and it looks like my pause was right – I like Stone because of his endorsement of Ron Paul back when he was in the primaries (even though he ended up voting for Obama) but overall he just seems like one of those guys who would vote for Ron Paul purely as a leftist trying to halt American imperialism purely out of sympathies for leftist regimes like Venezuela that the USA continues to attempt to boss around. In other words, he would vote for a libertarian to attempt to tear down one regime’s policies in order to promote another.